I'm having a hard time staying focused with this beautiful weather. I want to be inside creating but I really want to be outside enjoying the fresh air and beautiful blooms. 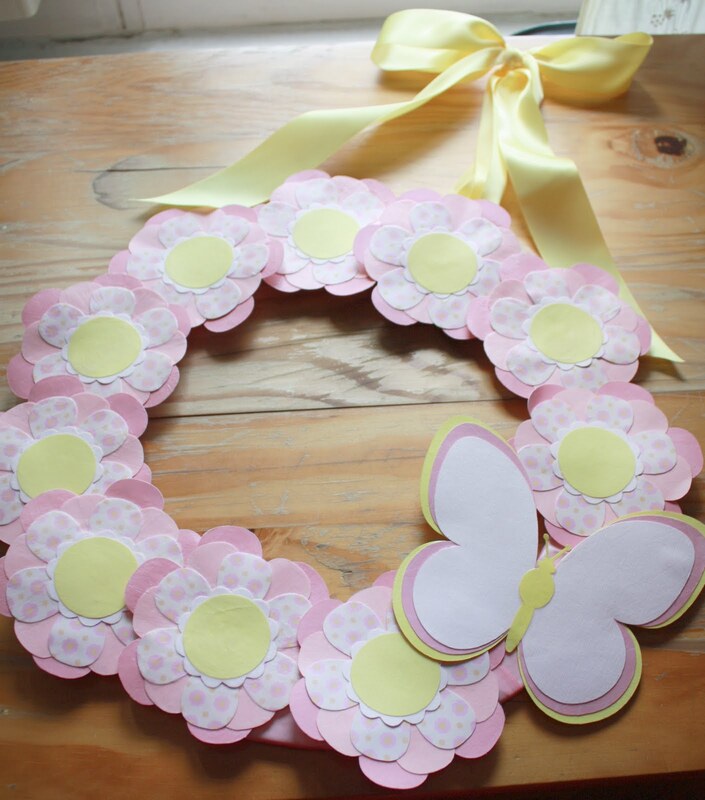 I wanted to share a custom wreath I made which is going to be put in a baby girl's room and the centers of the flowers will be pictures of her family. I thought it was such a sweet idea. I only made the wreath and I have yet to see how the collage part of it will turn out but I'm sure it'll be beautiful. Family is always beautiful. the wreath will have a long life on the sweet baby girl's bedroom wall. Oh, the butterfly will have the parent's picture. I can't wait to see how it turns out. There is a giveaway brewing at the Sweet Spot. Stay tuned for details soon! So lovely! Love the flowers and the butterfly!